During today’s 2015 first quarter call, Tim Cook announced that the Apple Watch will ship In April. He said that development of the watch was on schedule. This comes on the heels of today’s news that Apple had a record-breaking quarter with over 74 million iPhones sold during the holiday season. Earlier rumors speculated that the Apple Watch would ship in March. 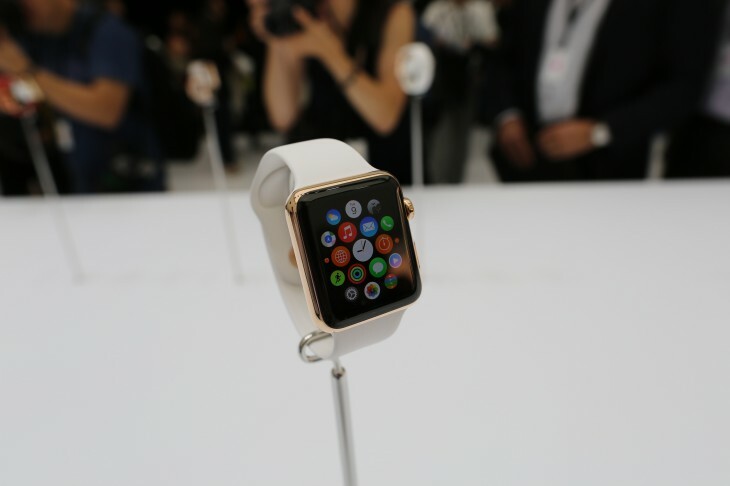 The Apple Watch is Apple’s entry into the emerging wearables market. The watch syncs with a user’s iPhone and includes Apple Pay capabilities, a way to communicate with friends by drawing on the screen called Sketch and a Tap feature that sends your screen taps to a friend who is also wearing an Apple Watch. The Apple Watch will ship in three flavors: the regular Apple Watch with a stainless steel case, the Apple Watch Sport with a fluoroelastomer band and anodized aluminum case and the high-end Apple Watch Edition with an 18-karat gold case.